Whether you’re seeking extensive plastic surgery or prefer a more minimally invasive, non-surgical approach, the doctors and staff at Synergy Medical Aesthetics are committed to helping you achieve the look you desire and the self-confidence you deserve. Our mission is to deliver premium, effective aesthetic care with specialist-level knowledge and experience. To learn more about how we can help you look and feel your best, please contact us today by completing the form on this page or calling 250-591-1566 to schedule a consultation. Our state-of-the-art facility in Nanaimo welcomes patients from across Central Vancouver Island. Dr. G. Philip Barnsley is an internationally-trained and board-certified plastic surgeon with nine years of surgical experience. While attending Dalhousie University medical school, Dr. Barnsley became greatly interested in the prospect of starting a surgical practice and was particularly drawn toward plastic surgery because of the variety of techniques and the immediate, visual nature of the results. 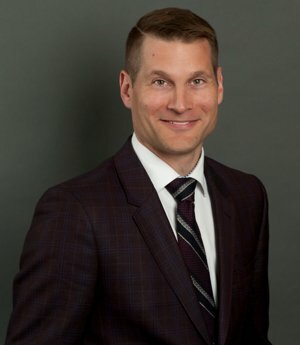 Upon completing his plastic surgery residency training at Dalhousie University, Dr. Barnsley completed the Royal College of Physicians and Surgeons Clinician Investigator Program. He earned an MSc in Epidemiology and Community Medicine at the University of Ottawa and later became a Fellow of the Royal College of Physicians and Surgeons of Canada, specializing in plastic surgery. 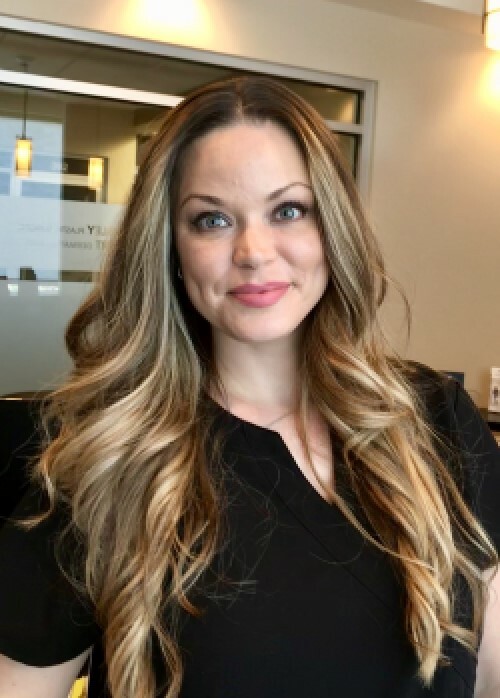 As a board-certified plastic surgeon, Dr. Barnsley spent a year of advanced clinical training in Las Vegas, Nevada, and received fellowship training in breast and aesthetic surgery. Dr. Gabriele Weichert is a highly-trained dermatologist with a commitment to helping patients overcome diseases and other conditions of the skin. 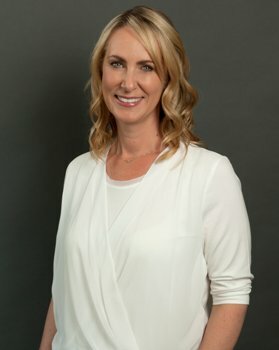 After completing her Ph.D. in hypertension medical research at the University of British Columbia, Dr. Weichert attended medical school at McMaster University before specializing in dermatology at the University of British Columbia. Dr. Weichert is a dermatology fellow of the Royal College of Physicians and Surgeons of Canada. She offers expertise in all aspects of skin disease including inflammatory, cancerous, and surgical dermatology problems. Dr. Weichert is the co-founder of Synergy Medical Aesthetics. She is passionate about the field of dermatology, the complexity of the skin and helping patients achieve their aesthetic goals with skill, experience, compassion and evidence-based integrity. Bringing her warmth, energy and specialized knowledge of skincare is our laser technician and Coolsculpting team leader, Teddianne! 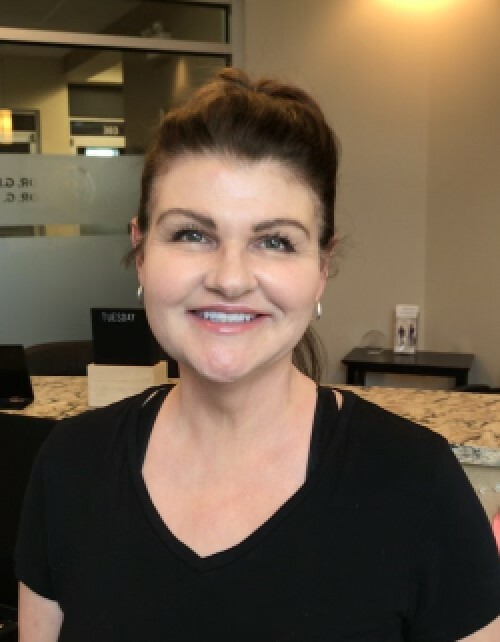 Whether you are having a laser treatment, micro-needling session, chemical peel or even just a skincare or Coolsculpting consultation, you are sure to see Teddianne's smiling face around the clinic. Be warned, her smile is contagious and she'll have you feeling relaxed and at ease with a big smile of your own shortly after meeting her! We love her and know you will too. We are so excited to have her (and her crazy laugh!) as part of our team here at Synergy! 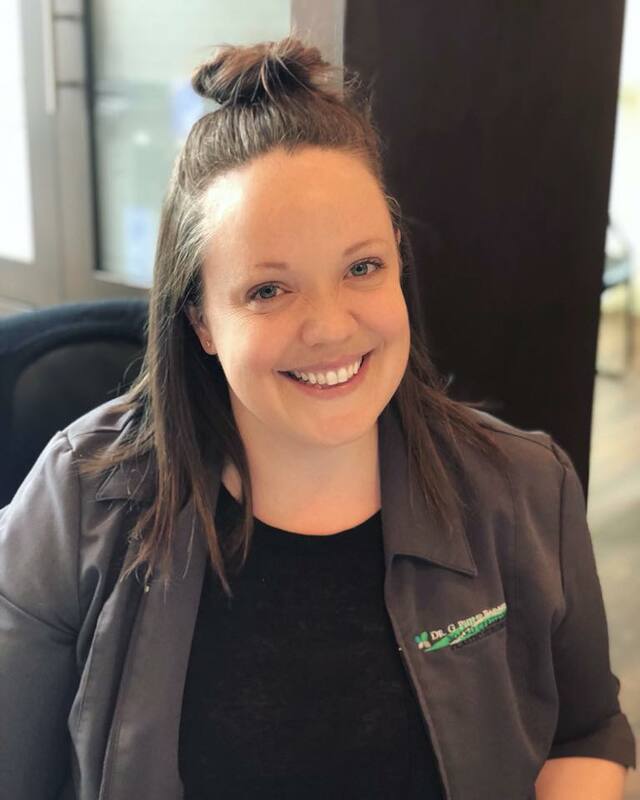 Meet our amazing receptionist and office manager, Hayley! Her sunny disposition along with her warm and genuine smile will have you feeling welcome and relaxed as soon as you step into the clinic. Her willingness to go above and beyond to make your experience here at Synergy the very best it can be, makes her an invaluable member of our team, and ultimately yours. With her years of experience in the medical field, she is a fountain of knowledge and will be sure all of your questions are answered, and needs are met. We love her to bits and we are sure you will too! Meet the wonderful A'liza. She is in charge of Dr. Barnsley's surgical consultations as well as coordinating the logistics of surgical procedures. Have any Coolsculpting questions? She can help with that too! She's an absolute gem and an integral part of running the office smoothly. We swear she has a photographic memory for patient details among her other great qualities. She is always super-organized and with her meticulous attention to detail, goes above and beyond every day. She's a priceless asset to the office, and we love her! She'll take amazing care of your needs and answer any questions you might have while considering a surgical procedure. We're so happy to have her, she is such an indispensable part of the team! Meet Matt, our amazing nurse! If you are in the office on a Tuesday, you are bound to at least catch a glimpse of him. 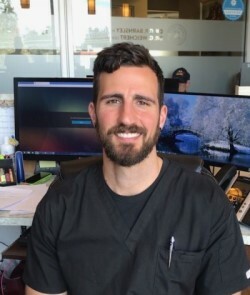 Bringing years of experience working along side Dr. Barnsley during surgeries, Matt ensures patients are comfortable and well taken care of while they are here. While at Synergy, Matt spends his time assisting Dr. Barnsley with medical procedures, suture removals, and even cosmetic fillers and Botox! We are so thankful to have this multi-talented man as part of our team! Welcome to one of our new team members Barb! We are so excited to have this lovely lady on board here! She brings to Synergy years of experience working in the medical aesthetic field and we are sure you will appreciate her warmth and genuinely sweet personality. She is as comfortable running a laser as she is booking appointments so you will probably see her smiling face or hear her cheery voice here at some point. Welcome Barb! Another warm welcome to Jillian! She also brings a wide array of experience from providing treatments to working the front desk and so many things in between. She is definitely a welcome addition here at Synergy and we know you will enjoy her uplifting presence here as much as we do. Welcome Jillian! 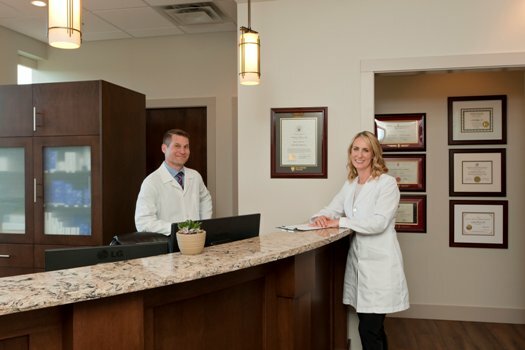 Dr. Barnsley and Dr. Weichert offer a comprehensive suite of plastic surgery and cosmetic skin care treatments to help you reach your aesthetic goals. The combined knowledge and experience of our doctors in the fields of plastic surgery and dermatology provides you with an unparalleled level of expertise at Synergy Medical Aesthetics. 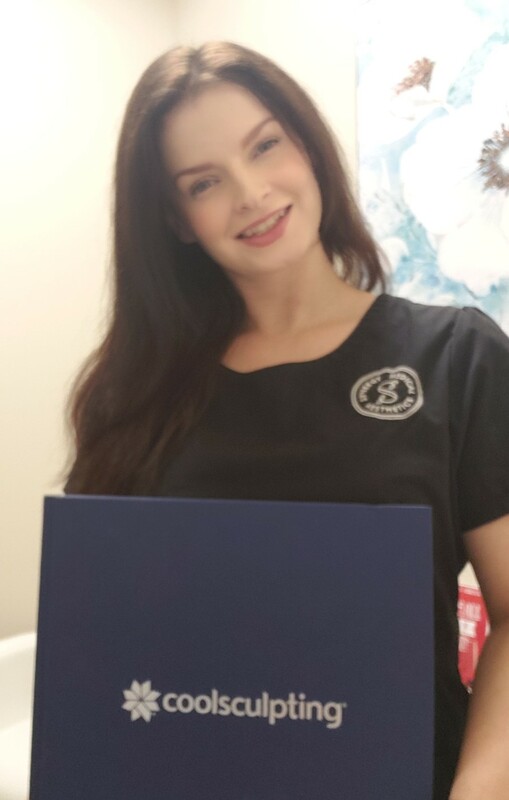 As Central Vancouver Island’s premier choice for specialist-level aesthetic care, we strive to create an environment where patients are treated with courtesy and respect, and are proud to share their results with others. Playing a role in your transformative journey is personally important to the doctors and staff of Synergy Medical Aesthetics. We will take the time to understand your unique goals and thoroughly explain all of your options. We will guide you through the entire process with honesty and respect. This level of individualized, patient-focused care will help your experience be as positive and rewarding as possible. If you would like to experience the safest, most advanced and most comfortable surgical and non-surgical aesthetic care in the Nanaimo area of Central Vancouver Island, please contact Synergy Medical Aesthetics today online or at 250-591-1566 to schedule a consultation.